It is something that might be said to any addict – set yourself free of the chains that bind you. But is it really the case that you can become trapped – imprisoned – in a digital world of your own making? Increasing concern is being given to our modern obsession with digital devices and the growing numbers of undiagnosed digital addicts as a result. Tech Timeout is an initiative that wants to help reverse this trend and challenge the nation to take some time out from technology. The challenge takes the relatively soft line of encouraging families to agree to switch off all digital devices and gadgets in the house for at least an hour a day, over the course of a week, and experience some of the reconnections in interrelationships that may have been lost or become more distant because of each member’s obsession with electronic gadgetry – everything from televisions, to computers and laptops, and of course the ubiquitous mobile or smartphone. “There is increasing evidence of day-to-day dependence on digital devices having an effect on social and cultural behavior. Concerns that spending so much of our time plugged in may be contributing to a rise in the number of ‘digital addicts’ are not unfounded. If you or other family members happen to be a digital addict of course it is unlikely to be easy to break the habit. But there is strength in signing up to a commitment, believes Tech Timeout. The site includes a handy ready-to-sign online pledge which can be used by any individual or family to make the promise to take the agreed timeout from the digital world. There may be formal definitions for it, but to what extent is digital addiction just a passing scare or something more serious? There has been a general proliferation of research into the negative effects of an over-reliance or obsessive use of electronic technology. Unsurprisingly, perhaps, most of that research has been based in either the United States or Europe. But the problem – and one specifically related to the use of smartphones – is one that even the UK’s telecommunications regulator, Ofcom, has identified. Ofcom’s research, for example, reveals that a staggering 90% of the UK population now owns either a mobile or smartphone. Furthermore, 81% of the nation’s smartphone owners keep them turned on all of the time – including time spent in the bedroom, in the bathroom and even in the toilet. 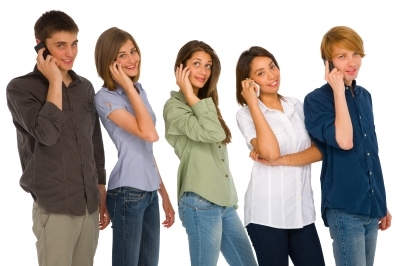 The most obsessive of users, it is suggested, are teenagers, with 65% of the sample population admitting to use of their smartphone in social situations (compared to 51% of adults). Similarly during meal times, 34% of teenagers and 23% of adults said they have used their smartphones while eating a meal. It is difficult to know just where individuals’ priorities may lie, but with this level of smartphone usage continuing into times generally set aside for social interaction, it seems uncomfortably apparent that it is the digital rather than the human world that many prefer. It is in order to help restore a more human balance to life in general, and family life in particular, that Tech Timeout is campaigning for at least part of people’s lives to be technology-free. The aim is to see individuals, and individual members of the family unit, to set aside just a very small period of their time in order to reconnect with the real world – and to share experiences, activities, conversations and connections in an altogether more human way.